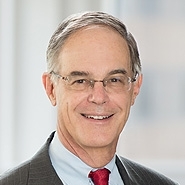 Partner Greg Diskant recently participated in a panel discussion on Justice Thurgood Marshall's legacy. The panel, which took place at the U.S. Court of Appeals for the Second Circuit, featured six of Justice Marshall’s former Law Clerks, who remembered their time working for the first African American member of the Court and discussed his opinions on landmark cases. Greg served as a Law Clerk to Justice Marshall from 1975 to 1976. Other panelists included Supreme Court Justice Elena Kagan; Dean of Harvard Law School, Martha L. Minow; Director of the American Law Institute, Richard Revesz; Professor at Georgetown University Law Center, Sheryll D. Cashin; and U.S. District Judge for the Southern District of New York, Hon. Paul Engelmayer. To view footage of the panel discussion, which was recorded by C-SPAN, please click here.